What Is A Coconut? - Coconut Oil Works: An easier way to use the worlds #1 most beautifying ingredient for skin and hair. Coconuts have been used for centuries. 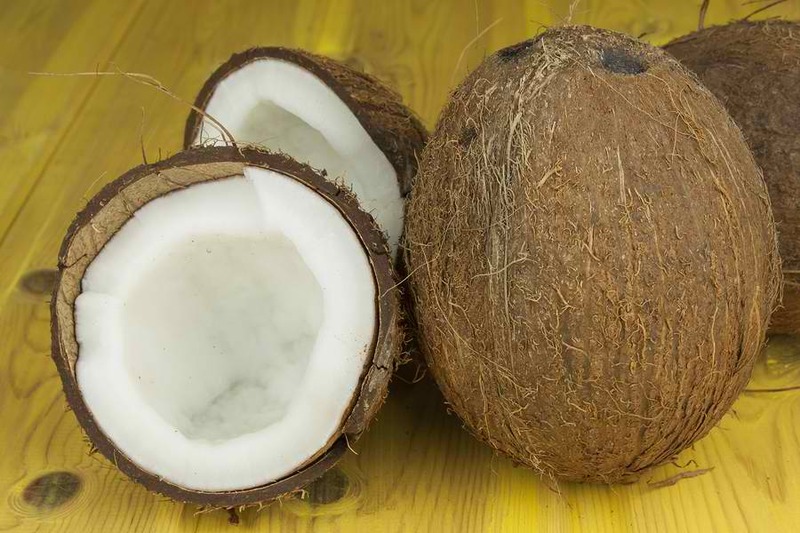 They were first called a “nargils” in the 1600s, but then gained the popular name of coconut in the 1700s. It was named by the Portuguese for their word “coco” means “a smiling face”. The three indents on the outside of the coconut can often give it the look of a smiling face. Some people say it looks like a smiling monkey face. A coconut is not actually a true nut by definition, but more of fruit, nut and seed combination. A coconut is what is known as a drupe. Peaches and olives are also drupes. A drupe is defined as being a fruit that has a hard, stony seed inside. All drupes have three layers; the exocarp, the mesocarp, and the endocarp. The exocarp of a coconut is green and smooth. When you purchase a coconut at the grocery store, the exocarp and the mesocarp have already been removed, leaving you with only the endocarp. There is only one species of coconut with over 80 varieties. Some plants are dwarf, some are extra tall, but all come from the same Cocos Palm. Every part of the coconut has a use. The seed contains water which can be cracked open to drink. The fibers of the coconut can be used to create string, fabric, rope and more. The meat inside the coconut provides food, while the shell can be used to make musical instruments, bowls, utensils and more. Coconuts can also be used to make fuel, oils, and has properties that can act like a natural sunscreen. Coconuts are sometimes referred to as “The Tree of Life” because it provides so many different things. They always appear in movies about shipwrecks because the characters can use them for so many different aspects of life. They provide health benefits not found anywhere else, and they provide everything from food to natural sun protection. They truly are a unique plant.